Bill Maher and I agree on little politically but I have usually found his defense of free speech an important embrace of what liberals used to be. However in two glaring examples of going too far this week the repugnant mask of what really drives some of these left wing entertainers has boiled to the surface and flowed out of the Hollywood cesspool. This is why free speech is so critically important and why we should steer clear of laws that portend to protect us from hateful thoughts, words and expressions. How else could we judge for ourselves what these people are truly like? I do not think Kathy Griffin should be silenced for her vile display of a bloody head that appeared to be President Trump. I think she should be shamed and then ignored. I do not want to give attention any further to her grotesque behavior. I however will pay attention to sponsors that stay in her corner. I will not support them either. They will also be ignored. Bill Maher was having an important conversation with Senator Ben Sasse of Nebraska when the N-word flew out of his mouth. I think this is an important exercise and I declare freedom of speech to be alive and well. I think it is in all the finest traditions of this country that he threw a racial slur into what he tried to play off as a joke. Of course the repercussions were swift and severe as they should have been. But Bill Maher should not be silenced either. In fact he should talk loudly for a little bit longer. If not for free speech how would we be able to see what those on the hard left really believe? My mother always said this is why it is so important to us all. Let them speak, all of them. Let the fools prattle on and let the imbeciles yell from the rooftops for if they do; we can then judge for ourselves with whom we agree and with whom we do not. 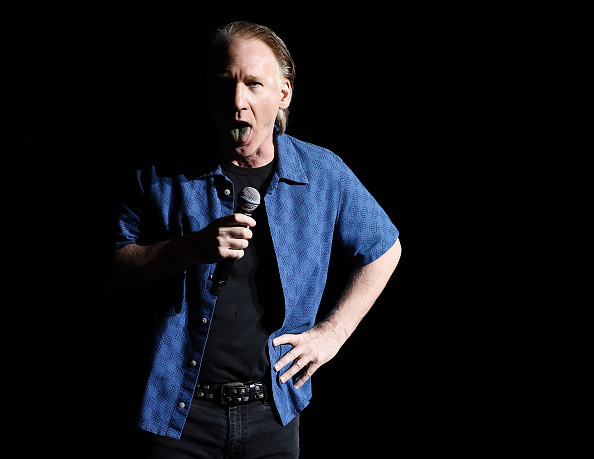 As far as the future of the openly racist Bill Maher or his hateful understudy Kathy Griffin I say let the market decide. If consumers and sponsors still want to align with those kinds of comments and actions so it is. I however will be taking my business to people I actually respect and giving financial support to those I align with.